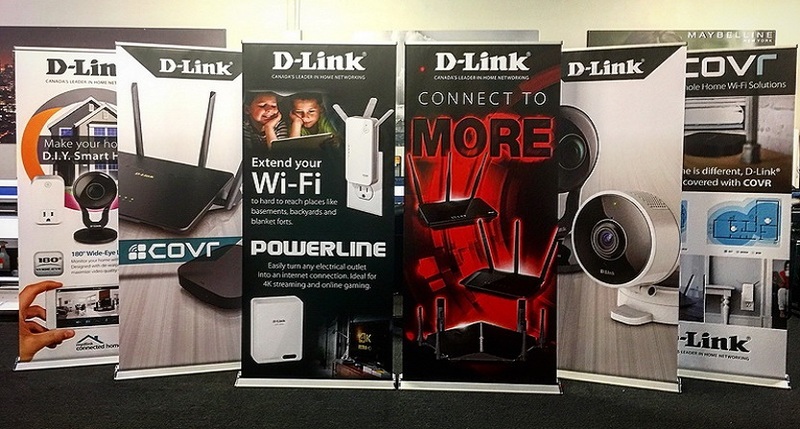 Attending trade shows and other related events can bring a host of benefits to a company, such as pumping publicity and connecting with tons of potential customers, partners and employees. 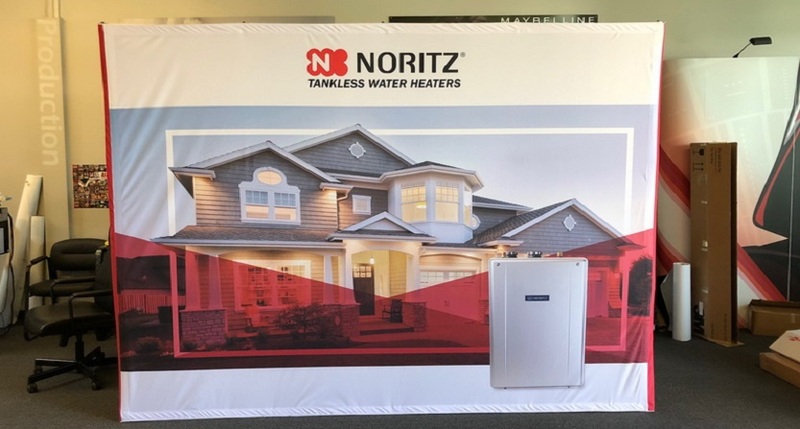 To maximize these advantages, you need a bold, flexible and portable trade show display that properly conveys your brand. Work with our expert team at SpeedPro Imaging Coastal OC to bring your trade show booth ideas to life! We have more than 30 years of combined experience, which extends into every aspect of the process. We’ll help you with surveying, designing and installing. We’ve worked with all kinds of businesses — from hospitals to restaurants to real estate companies — and our efforts along the way have won us plenty of awards. We’re confident that we can use our expertise to craft an ideal solution for you — we don’t consider any request to be out of the realm of possibility. We have an extensive catalog of products and packages to offer, and we’ll go through all of them and tailor everything to your needs. 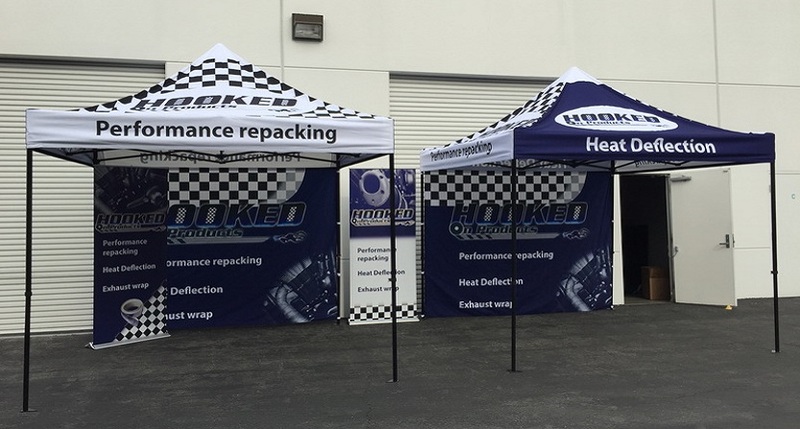 Create a pop-up trade show display that makes you stand out from the rest and draws customers in. Many of our displays have lightweight, simple accessories that allow for quick conversion times and easy transport. 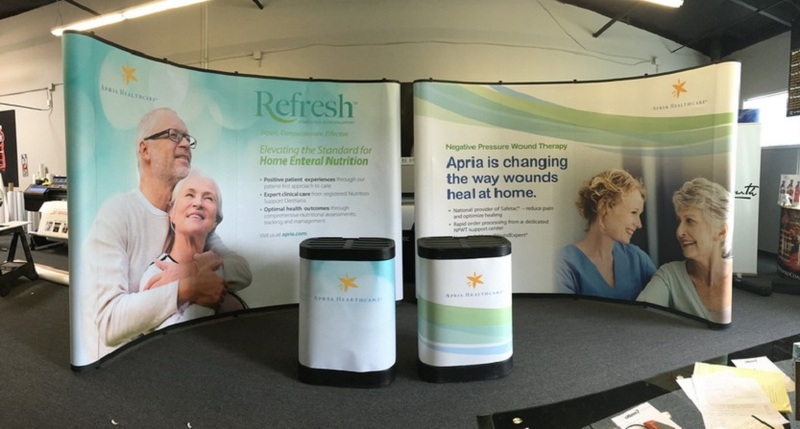 Banner stands: Retractable banners offer pivotal versatility and brand recognition. We offer our retractable stands in multiple sizes, styles and models. 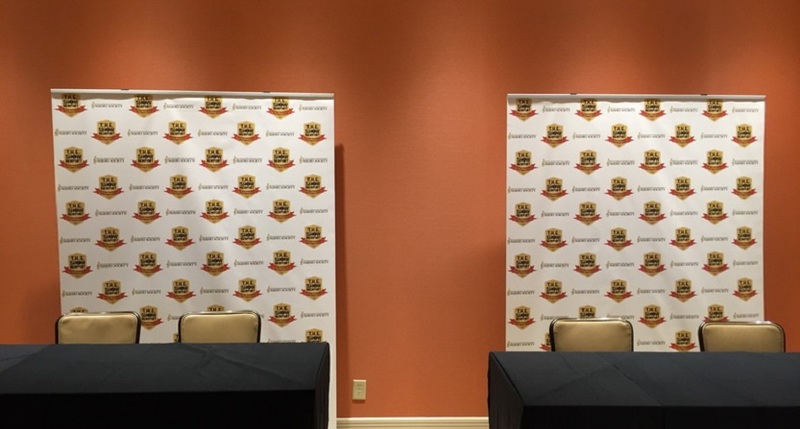 The banners themselves can be single- or double-sided. Styles we make available include retractable, telescopic and spring-back. Our three models, which vary in metal gauge and internal mechanism strength, include economy, standard and premium. Hop ups: Another versatile tool, hop ups are kits that display large format fabric graphics. They’re convenient to travel with, as they’re lightweight and require no tools for setup. You can illuminate them with a variety of lighting options to make their vivid colors pop. Tents: Use this outdoor staple to serve as your home base during concerts and festivals. We design tents in popup, tubular and inflatable styles, and you can pair them all with an assortment of different accessories — like fabric walls and billboards — to complete your look. Backlit graphics: Backlit graphics are an eye-catching alternative to traditional front lighted backdrops. These frames with LED lights inside illuminate a fabric graphic cover that can easily be exchanged with other designs. We also offer flags, table toppers, pop up displays, monitor and tablet displays, kiosks, literature stands and much more. 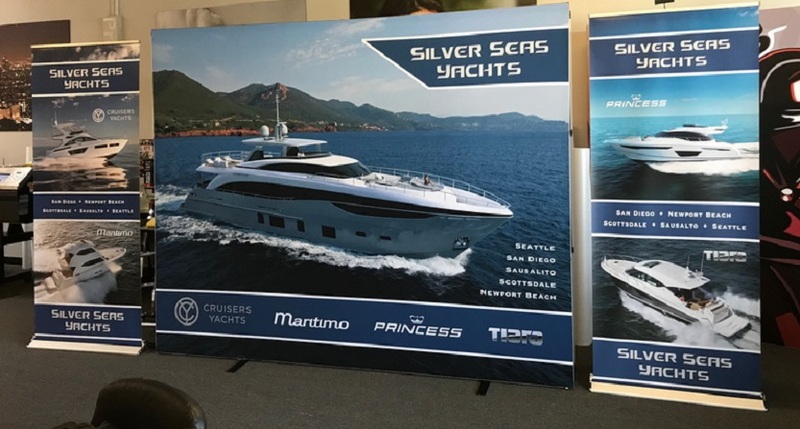 Regardless of your choices, the products that make up your pop up trade show display will be crafted using state-of-the-art printing technology and industry-leading materials when you choose to partner with SpeedPro. Contact us today to schedule your consultation! If you want to stop by, our studio is located near the intersection of Talbert Avenue and Newhope Street, which can be accessed through the Euclid exit on Interstate I-405.